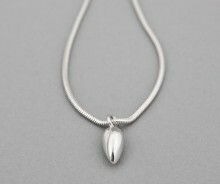 This shiny pendant necklace, with one perfect rosebud, is made in our workshop in the Garden of England. 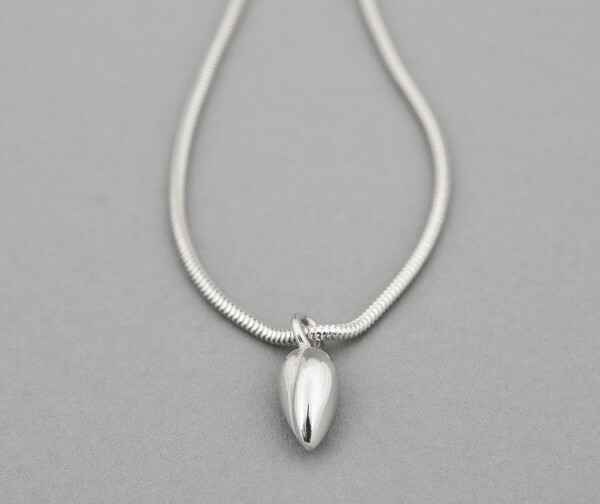 The solid rosebud pendant is cast in Sterling Silver, and come on a standard 16" or 18" length snake chain, making a beautiful gift or memento; some of our clients use their rosebud pendant to signify the birth of a child, for example, or as reminder of an anniversary. 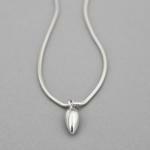 Or you can just wear it because it�s so beautiful! 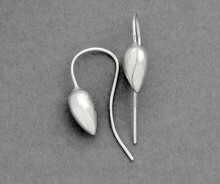 Like all L&N products, it is simple and elegant and hallmarked in Britain. 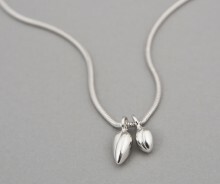 Beautiful timeless classic silver necklace that looks great for every day wear but still steps up for a bit of understated shine in the evening. I wouldn’t be without it now! Many thanks for the flattering feedback!